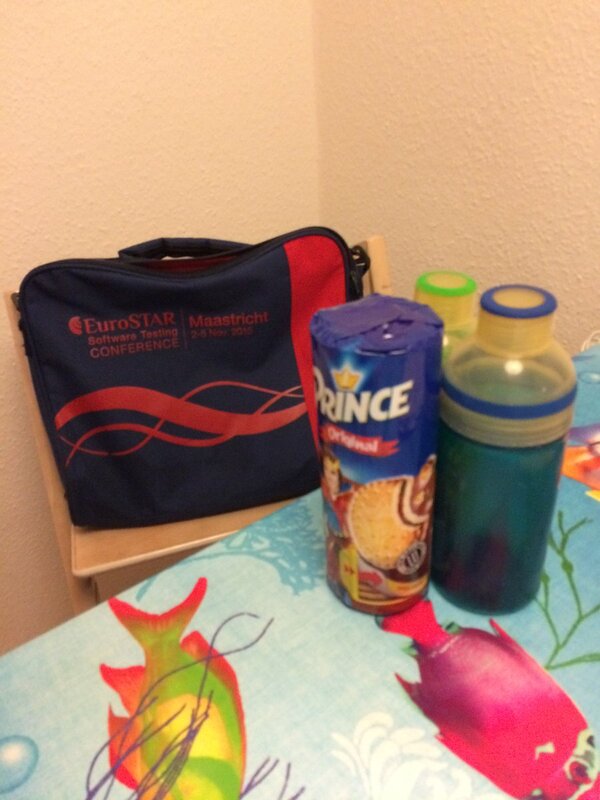 I am a big fan of swag.. don’t get me wrong, usable swag – and the bag from EuroSTAR 2016 is one of my favorite piece of this category.. So I use it often. One of the last times I hang out with it, I’ve decided to tweet some pictures from my trip. Was happy to see a reply to it with a fellow EuroSTARer and this great backpack exploring the world.. So from that tweet came the idea to see how you, fellow EuroSTARers use it or other pieces.. Please share your pictures from your adventures and trips! @cliodhna indeed the water bottle was a good one! I use it too. My EuroSTAR 2016 Viking hoodie has been useful for me. I have worn it a lot. It gets dirty now as I have been painting in it for the past number of weeks. I also still use a EuroSTAR 2014 bag as a laptop bag as it fits my notebook perfectly. Will share a pic if I can find images of them. That is cool @ronan! Please do share pics if u find some – also feel free to reply on twitter too 😀 Would love to get more people in! My EuroStar 2016 water bottle is used every day at work. Love it. Wow, that is pretty interesting, thanks a lot.